As far as devices for the Nintendo Switch, the default options are the bundled Joy-Cons, but you can also get the Pro controller which offers a slightly more familiar design for gamers. But maybe arcade-style gaming is more up your alley. If so, then you’ll be pleased with Hori’s upcoming offering. The company has now announced that they will be launching the Hori Real Arcade Pro.V Hayabusa fight stick for the Nintendo Switch. 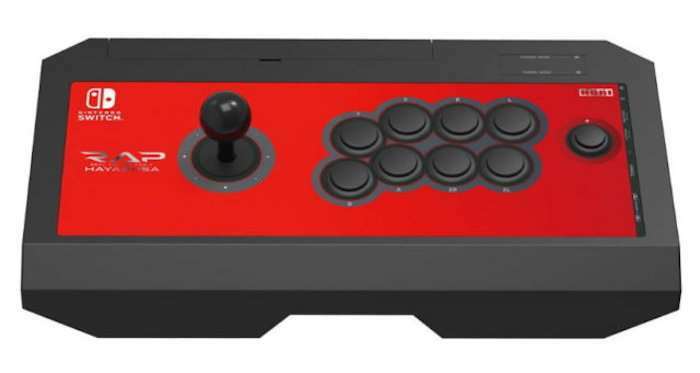 The design of the fight stick is similar to Hori’s other offerings, except this one seems to have been designed with the Nintendo Switch in mind and will have a Nintendo Switch decal. Otherwise it should be pretty much the same as its other controllers. Nothing super fancy or groundbreaking here. We are in the dark as far as pricing and availability. Hori has yet to release those details, but they will no doubt let us know soon. Pricing shouldn’t be too different from Hori’s other fight stick accessories for other console platforms. At the moment there aren’t too many arcade fighting games available for the Switch, or being planned as far as we know, but maybe you can be prepared for future releases with this device.